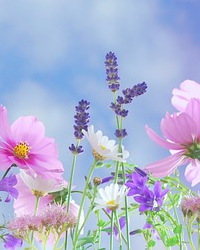 Obituary for Joyce (Black) Lloyd | Thatcher's Funeral Home, Inc.
Joyce Black Lloyd, twin daughter of Mr. William and Mrs. Bernice Anderson Black was born on March 5, 1939 in Denver, Colorado and departed this life on January 27, 2019. She attended kindergarten in Denver, Colorado and completed her elementary and junior high years in Lawrence, Kansas. She graduated from Lawrence High School in 1957. She received her B.S. degree in Elementary Education from Kansas University in 1961. She later took graduate courses from Emporia State University; University of Missouri Kansas City; and some graduate courses from Kansas State University. She became a Reading Specialist on October 7, 1986. Her teaching career began in Milwaukee, Wisconsin where she taught at the Brown Street School for 2 years. In 1963, she moved to New York City, New York and lived there for a few years. She was a clerk typist for the Columbia University Research Lab. While in New York she had a brief marriage to Mr. Herman Lloyd, Sr. A son was born in 1965, Herman Lloyd, Jr. Later that marriage was dissolved, and she moved back to Kansas City, Kansas in 1967. She resumed her teaching career at Grant Elementary School. After teaching there for about six years she moved to Stony Point South Elementary where she taught for 21 years. She retired from teaching in 1994. During her teaching career, she was an active member of the National Education Association. She was also a member of the KNEA Instructional Advocacy Commission from 1989 – 1994. Joyce was an award nominee for the “Excellence in Teaching” from the Learning the Exchange and the K.C. Star Co. in 1985; saluted in 1987 as a “Woman of Distinction” presented by the Friends of Yates Branch; Kansas University School of Education awarded her a certificate for completing 25 years of service on April 30, 1990. Joyce served the community untiringly and faithfully through memberships at Oak Ridge Missionary Baptist Church and Mu Omega Chapter of Alpha Kappa Alpha Sorority. At Oak Ridge she sang in the Voices of Praise and Mass Choirs. She helped with the Red Circle Girls Organization and the Willing Workers Organization. 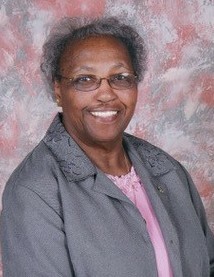 She became a Silver Soror on June 26, 1990, MU Omega Chapter of Alpha Kappa Alpha. She was also a member of the following organizations: Wyandotte Co. Retired Teachers Association; USTA Tennis Association; Kansas University Alumni Association; Friends of the Library Member. During her retirement, she loved to pursue her hobby playing tennis. She also did volunteer work at several elementary schools. After all of her accomplishments, one of her greatest was 40 years later in 2008 reuniting and remarrying Herman Lloyd, Sr. thanks to their son, Herman, Jr. who searched and found his father. Her parents William and Bernice Black, grandson, Landon Maltbia preceded her in death. Joyce leaves to cherish her loving memories: her husband, Herman Lloyd, Sr.; son, Herman Lloyd, Jr. (Chavonne); twin sister, Joycelyn Boyce (Donald); two grandsons: Wymann Simpson and Ricky Maltbia; two great granddaughters; two nephews, David Boyce, Rev. Charles Boyce (Trish); great nephew, Andrew Boyce; cousins, other family members and dear friends.